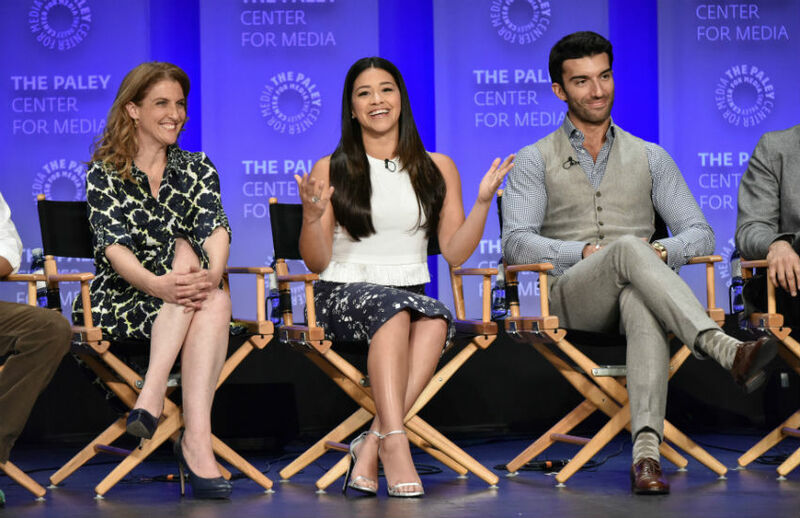 Home TV Are Things Heating up Next Season on Jane the Virgin? 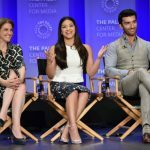 Most of the cast of CW’s freshman dramedy Jane the Virgin showed up for Sunday afternoon’s penultimate panel at PaleyFest. The Dolby Theatre’s stage hosted the show’s titular star, Golden Globe winner Gina Rodriguez, along with co-stars Andrea Navedo, Ivonne Coll, Brett Dier, Justin Baldoni, Yael Grobglas, and Jaime Camil. Writer and creator Jennie Snyder Urman and executive producer Ben Silverman rounded out the panel, with BuzzFeed’s Jarett Wieselman moderating. A tearful young Latino woman, who introduced herself as “Jane’s biggest fan,” showed how important the show is to viewers too. She first thanked Urman, who is not Latino, for giving her a role model that looked like her, and for her ability to “capture our culture so well, and no one has done us justice like that.” She asked how Urman did it.